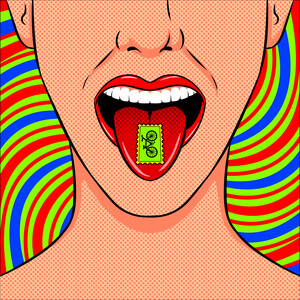 LSD Price: How Much Is Acid Blotter, Sheet, Tab, Pyramid or Vial? LSD Street Price: How Much Does Acid Cost on the Street? Lysergic acid diethylamide (LSD) is a synthetically manufactured hallucinogen that dramatically amplifies the senses. It is available in a number of different forms, the most common of which is the blotter paper. What affects the price of LSD on the dark web? Let’s find out acid street value and the reasons for its variation from place to place. How Much Does LSD Cost in the US? What is Blotter Cost Online? What is LSD Price Abroad? Lysergic acid diethylamide, commonly called acid, is a very potent illegal drug that has no legitimate medical uses. Only a few micrograms of this colorless, tasteless, and odorless substance can cause hallucinations. What is the LSD price per gram on the street? And what type of packaging is the most expensive substance? The street price of LSD ranges from $2,500 per gram to as much as $15,000 per gram. The price of each unit or “hit” consisting of 50-150 micrograms of LSD can range anywhere from $2 to $50. The cost varies significantly due to global supply and local availability. In the United States, the drug is typically less expensive on the East Coast and West Coast and more expensive in the Midwest. In bigger cities, such as New York or LA, one trip usually costs under $10. In addition to the geographical location, the street value of acid depends on other factors, such as how well the buyer knows the dealer. Users who know the dealer well can typically get better prices. The price of the drug varies with the type of packaging. Liquid LSD price per vial can range from $90 to $300. Blotters (pieces of paper soaked in the drug and dried) which contain one dose of the drug sell for anything from $1 to $10. Sheets which contain 100 doses cost upwards of $80 and may be priced as much as $400. Books of acid with 1,000 doses can cost up to $6,000. Gel tabs are available on the street for about $5 to $10 each. The price of a sheet of gel tabs can range anywhere from $250 to $1,000. The price of a pyramid is typically $10 to $20 each. What is the Price of an LSD Vial Online? The cost of an acid depends on a number of factors. Buying the drug online is usually cheaper than purchasing it from a local dealer. On the street, the LSD tabs price is $5 to $15 for a 100-microgram dose. On the web, the same dose may cost less than half the price at $2 to $4. Even online, the cost varies. LSD tab price is more on the surface web compared to the dark web. On the surface web, which is accessed through common Internet browsers, vendors such as Lysergi sell acid tabs for about $8 each. The price of 25 tabs of 100-microgram each is less than $120, which translates to a price of under $5 per tab. On the dark web, which is accessed through the tor browser and onion protocol, vendors sell 100-microgram blotters for less than $4 each. When 25 blotters are purchased together, they cost less than $70 on the dark web, which translates to a price of less than $3 per blotter. So, the Internet, and in particular the dark web, is the place to get the best LSD paper price. It is evident from the above list that the price of LSD varies dramatically around the globe. The reason is the unique economics of production and distribution of the drug. The manufacturing process is a complex one requiring sophisticated equipment, ingredients, and skills. Each kilogram of acid contains a very large number of hits. This combination of low weight per dose and high skill required for synthesizing it means only very few people produce LSD. Disruption in even a single manufacturer can greatly affect worldwide supply, and therefore, LSD street price. Moreover, acid does not usually lead to physical dependence and users can function normally without. When supply is disrupted, and cost goes up, users can easily switch to other drugs or natural alternatives, such as magic mushrooms, for similar psychedelic effects. Is There a Way for Safe Tripping? 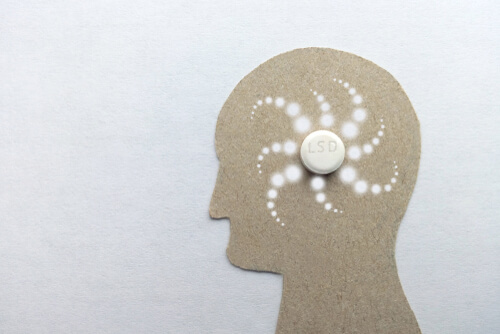 It is possible for a person to become psychologically addicted to LSD after regular use. Chronic use of acid is associated with some serious side effects, including impaired cognitive function. During acid trips, users may experience panic attacks, extreme terror, death-like feelings, and detachment from reality. If you or someone you love is using acid, call our free helpline (888)-459-5511 for more information on getting help. Advisors are available to answer your questions, give you more information on kicking the blotter habit, and guide you towards a healthier, safer future. Calls are always confidential, private, and secure. Addiction Resource » Addictive Substances: The Anatomy of Drug Addiction » LSD Addiction and Treatment » LSD Street Price: How Much Does Acid Cost on the Street?